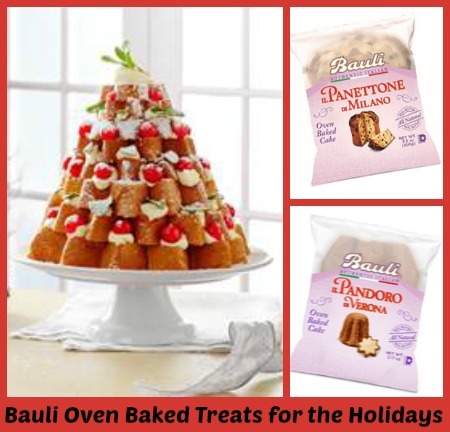 Stacy Tilton Reviews: Bauli's oven baked and ready-to-eat Mini Pandoro and Panettone are a sweet treat! Bauli's oven baked and ready-to-eat Mini Pandoro and Panettone are a sweet treat! 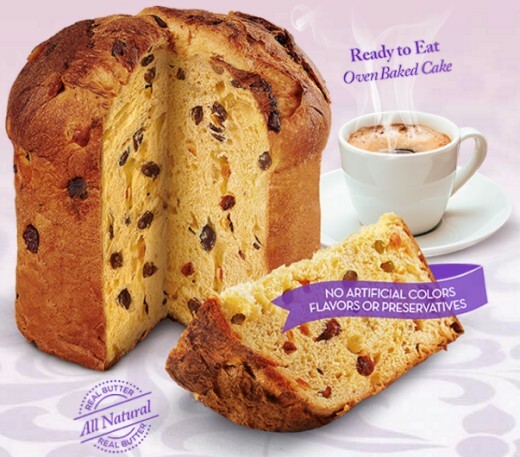 Bauli the traditional Italian brand is best known for their Pandoro and Panettone holiday cakes, which are Christmas and New Year’s Eve staples available during the holiday season. Due to their popularity, Bauli launched MINI versions of the products – perfect for gift baskets, stocking stuffers and enjoying on-the-go! You can even use them to make the Bauli Pandoro Christmas Tree Cake, a fun activity to do with the kids this Christmas. I was fortunate enough to receive some of the mini treats as well as full size Panettone and I was in for a real treat. I had no idea what to expect when I opened the box, but boy am I glad I got a full size version. I took it over to my mom's house for Sunday lunch and shared with them. Of course now I'm wishing I would have kept it all to myself. I couldn't believe the flavor and how moist it was out of a box. This cake is definitely going on my holiday shopping list from now on. My dad even told me I had better put it away if I wanted any to take home because after already having 3 pieces he said he could sit there and finish it all himself! The fruit pieces inside the cake were sweet and gave it a flavor like nothing I'd had before. This is one cake you definitely don't need icing on! Looks so delicious and like it would be perfect with a cup of coffee.